I don't think I've ever posted about this before - although I've had it partly assembled for years. 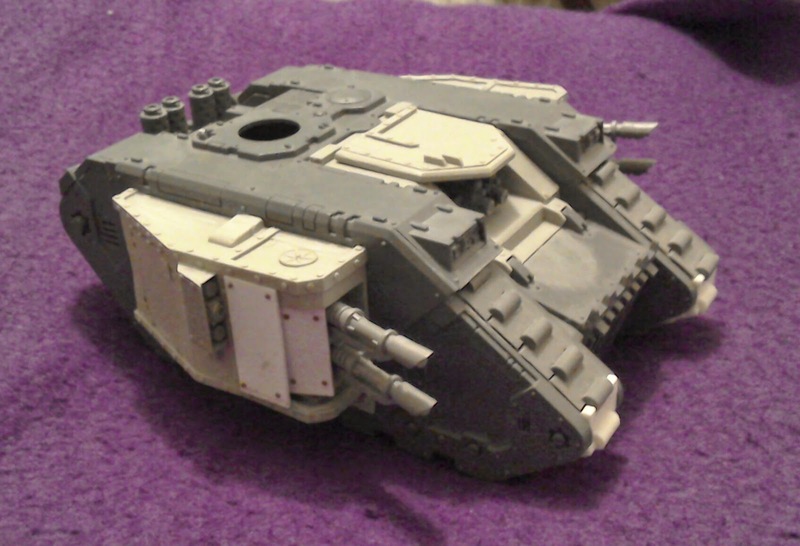 It's a Landraider with the Chapterhouse parts on it. The parts stylistically look great, but the casting was a bit off - hence the amount of filing before these fitted well. 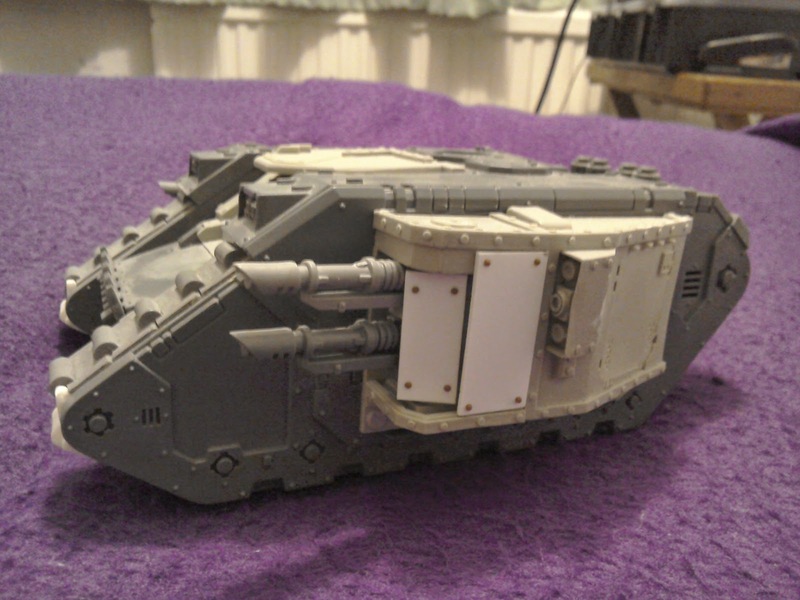 I used several IG Lascannons in the sponsons and added extra plating to cover up the swivel mechanism, which was too apparent. 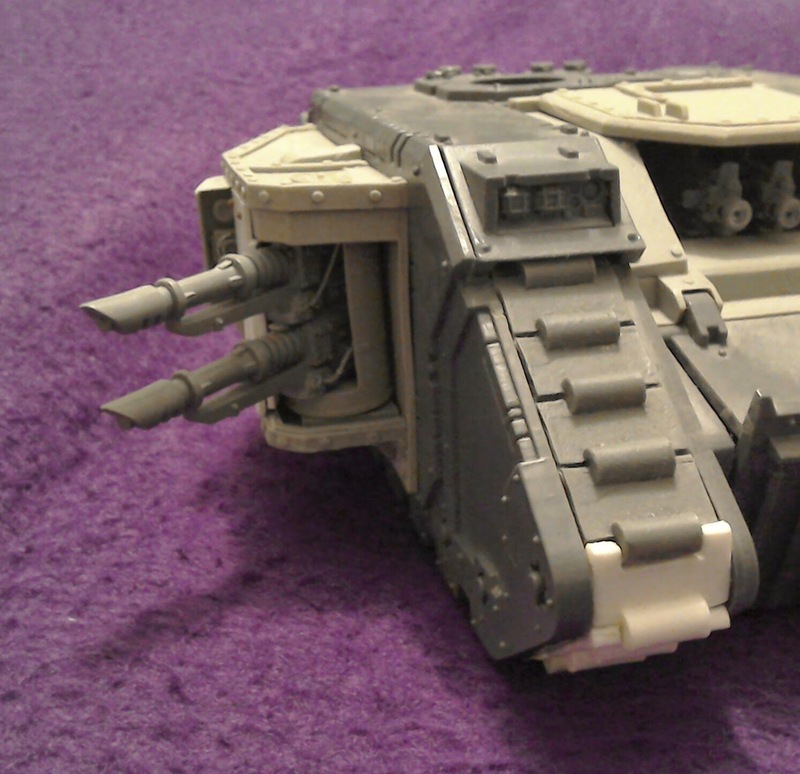 Tracks are from Blood and Skulls, and ultimately this will be joining my Sons of Horus army.